How is the fine needle aspiration biopsy performed? How long does the fine needle aspiration biopsy procedure take? What does an fine needle aspiration breast biopsy show? How reliable is fine needle aspiration breast biopsy test? What are fine needle aspiration breast biopsy complications? What does a core needle breast biopsy show? What does a surgical biopsy show? A breast biopsy is a procedure to remove a small amount of breast tissue for study under the microscope and laboratory testing. A breast biopsy is a way to evaluate a suspicious area in your breast to determine whether it is breast cancer. However, needing a breast biopsy doesn’t necessarily mean you have breast cancer. Most breast biopsy results are not cancer, but a biopsy is the only way to find out. During a breast biopsy, a doctor will remove cells from the suspicious area so they can be looked at in the lab to see if cancer cells are present. There are several types of breast biopsy procedures. Ask the doctor which type of breast biopsy you will have and what you can expect during and after the procedure. It’s important to ask questions if there’s anything you’re not sure about. If the doctor thinks you don’t need a breast biopsy, but you still feel there’s something wrong with your breast, follow your instincts. Don’t be afraid to talk to the doctor about this or go to another doctor for a second opinion. A breast biopsy is the only sure way to diagnose breast cancer. Regardless of what type of breast biopsy you have, the biopsy samples will be sent to a lab where a specialized doctor called a pathologist will look at them. It typically will take at least a few days for you to find out the results. Some patient has significant discomfort, which can be readily controlled by non-prescription pain medication. Infection at the biopsy site. The chance of infection requiring antibiotic treatment appears to be less than one in 1,000. If your biopsy will be done using magnetic resonance imaging (MRI), tell your doctor if you have a cardiac pacemaker or other electronic device implanted in your body or if you’re pregnant or think you may be pregnant. An MRI generally isn’t recommended under these circumstances. Several breast biopsy procedures are used to obtain a tissue sample from your breast. Your doctor may recommend a particular procedure based on the size, location and other characteristics of your breast abnormality. If it’s not clear why you’re having one type of biopsy instead of another, ask your doctor to explain. For many biopsies, you’ll get an injection to numb the area of the breast to be biopsied. Fine needle aspiration biopsy is used to assess breast lump. This is the simplest type of breast biopsy and may be used to evaluate a breast lump that can be felt during a clinical breast exam. In the past, this required a sometimes painful surgical procedure that involved a longer waiting period for the results. With fine needle aspiration, a sample of the breast lump is obtained using a small, thin needle. The test often allows doctors to make a diagnosis within two to three days of the test. In an needle aspiration biopsy, a very thin, hollow needle attached to a syringe is used to withdraw (aspirate) a small amount of tissue from a suspicious area. The needle used for an needle aspiration biopsy is thinner than the one used for blood tests. For the fine needle aspiration biopsy procedure, you lie on a table. While steadying the lump with one hand, your doctor uses the other hand to direct a very thin needle into the breast lump. A fine needle aspiration biopsy is an outpatient procedure most often done in the doctor’s office. Your doctor may or may not use a numbing medicine (called a local anesthetic). But, the needle used for the biopsy is so thin that getting an anesthetic might hurt more than the biopsy itself. How and when you first became aware of it? Have you noticed any changes in it? Next, the doctor will feel the breast lump. Before the actual biopsy is performed your doctor will give you an opportunity to ask any questions or express any concerns you might have about the procedure. After all your questions and concerns have been addressed, the actual procedure will begin. Holding the breast lump with one hand, the doctor will precisely sample the lump with a thin needle held in a needle holder, which provides greater control. Usually, two to three samples will be required from the lump to provide an accurate diagnosis. During the procedure, the doctor will usually leave the examination room with one of the slides to check that there is enough tissue to prevent the need for a second office visit. If the lump can’t be felt easily, the doctor might watch the needle on an ultrasound screen as it moves toward and into the area. This is called an ultrasound-guided biopsy. If ultrasound is used, you may feel some pressure from the ultrasound wand and as the needle is put in. Once the needle is in the right place, the doctor will use the syringe to pull out a small amount of tissue and/or fluid. This might be repeated a few times. Once the biopsy is done, the area is covered with a sterile dressing or bandage. Getting each biopsy sample usually takes about 15 seconds. The entire procedure from start to finish generally takes around 20 to 30 minutes if ultrasound is used. Each sample takes about 10 to 20 seconds to obtain. The whole procedure from start to finish usually takes no more than 10 to 15 minutes. However, allow an hour for your visit because of registration and possible waiting time in the office. Your doctor or nurse will tell you how to care for the biopsy site and what you can and can’t do while it heals. Biopsies can sometimes cause bleeding and lead to swelling. This can make it seem like the breast lump is larger after the biopsy. Most often, this is nothing to worry about, and the bleeding, bruising, and swelling go away over time. A doctor called a pathologist will look at the biopsy tissue or fluid to find out if there are cancer cells in it. If the fluid is clear, the lump is most likely a cyst, and not cancer. Bloody or cloudy fluid can mean either a cyst that’s not cancer or, very rarely, cancer. If the lump is solid, the doctor will pull out small pieces of tissue. The main advantages of fine needle aspiration breast biopsy are that the skin doesn’t have to be cut, so no stitches are needed and there is usually no scar. Also, in some cases it’s possible to make the diagnosis the same day. An fine needle aspiration breast biopsy biopsy is the easiest type of biopsy to have, but it can sometimes miss a cancer if the needle does not go into the cancer cells. Even if an fine needle aspiration breast biopsy does find cancer, there may not be enough cancer cells to do some of the other lab tests that are needed. If the results of the fine needle aspiration breast biopsy biopsy do not give a clear diagnosis, or your doctor still has concerns, you might need to have a second biopsy or a different type of biopsy. In the hands of a skilled fine needle aspiration practitioner, this test is very reliable. In the instance of a clearly benign diagnosis, it may prevent you from undergoing surgery. In the case of a clearly malignant diagnosis, it quickly establishes the need for further treatment. In the less frequent occurrence of a non-definitive diagnosis, either repetition of the fine needle aspiration biopsy or a surgical biopsy is usually recommended. Some medical center has demonstrated a 2 percent to 3 percent chance that a breast cancer may not be detected. This is why you will be asked to come back for a follow-up visit. Your doctor may also take into account the result of any imaging studies, such as a mammogram or ultrasound scan, and how the breast lump feels to your doctor. By doing this, the chance of missing a breast cancer is reduced to less than 1 percent. When carried out by an experienced practitioner, a fine needle aspiration biopsy is virtually free of significant complications. The most common complication is a slight bruising or tenderness of the area for a few days following the procedure. Discomfort should be relieved by an over-the-counter pain reliever such as Tylenol or the application of an icepack for short periods following your return home. If other tests show you might have breast cancer, your doctor may refer you for a core needle breast biopsy. During a core needle breast biopsy procedure, the doctor uses a wide, hollow needle to take out pieces of breast tissue from the area of concern. This can be done with the doctor feeling the area, or while using an imaging test. Core needle breast biopsy may also be used to assess a breast lump that’s visible on a mammogram or ultrasound or that your doctor feels (palpates) during a clinical breast exam. A radiologist or surgeon uses a wide, hollow needle to remove tissue samples from the breast mass, most often using ultrasound guidance. Several samples, each about the size of a grain of rice, are collected and analyzed to identify features indicating the presence of disease. 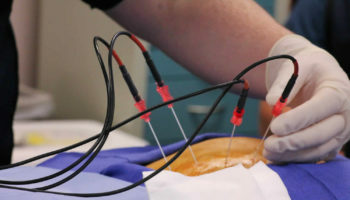 Depending on the location of the mass, other imaging techniques, such as a mammogram, an ultrasound or MRI (magnetic resonance imaging), may be used to guide the positioning of the needle to obtain the tissue sample. For this procedure, a doctor uses mammogram pictures taken from different angles to pinpoint the biopsy site. A computer analyzes the x-rays of the breast and shows exactly where the needle tip needs to go in the abnormal area. This type of core needle breast biopsy is often used to biopsy suspicious microcalcifications (tiny calcium deposits) or small tumors that can’t be seen clearly on an ultrasound. For a vacuum-assisted biopsy (VAB), a hollow probe is put through a small cut into the abnormal area of breast tissue. The doctor guides the probe into place using an imaging test. A cylinder (core) of tissue is then suctioned into the probe, and a rotating knife inside the probe cuts the tissue sample from the rest of the breast. Several samples can be taken from the same cut. This method usually removes more tissue than a core biopsy done with a regular needle. A core needle breast biopsy is an outpatient procedure most often done in the doctor’s office with local anesthesia (you’re awake but your breast is numbed). The procedure itself is relatively quick, though it may take more time if imaging tests are needed or if one of the special types of core needle breast biopsy described below is used. You may be sitting up, lying flat or on your side, or lying face down on a special table with openings for your breasts to fit into. You will have to be still while the biopsy is done. For any type of core needle breast biopsy, a thin needle will be used to put in medicine to numb your skin. Then a small cut (about ¼ inch) will be made in the breast. The needle or probe is put into the breast tissue through this cut to remove the tissue sample. You might feel pressure as the needle goes in. Again, imaging tests may be used to guide the needle to the right spot. Typically, a tiny marker (called a clip) is put into the area where the biopsy is done. This marker shows up on mammograms or other imaging tests so the exact area can be located for further treatment or follow up. You can’t feel or see the marker. It can stay in place during MRIs, and it will not set off metal detectors. Once the tissue is removed, the needle or probe is taken out. No stitches are needed. The area is covered with a sterile dressing. Pressure may be applied for a short time to help limit bleeding. You may be told to limit strenuous activity for a day or so, but you should be able to go back to your usual activities after that. Your doctor or nurse will give you instructions on this. A core needle breast biopsy can cause some bruising, but usually it doesn’t leave a scar. Your doctor or nurse will tell you how to care for the biopsy site and what you can and can’t do while it heals. All biopsies can cause bleeding and can lead to swelling. This can make it seem like the breast lump is larger after the biopsy. Most often, this is nothing to worry about, and the bleeding, bruising, and swelling go away over time. A doctor called a pathologist will look at the biopsy tissue and/or fluid to find out if there are cancer cells in it. A core needle breast biopsy is likely to clearly show if cancer is present, but it can still miss some cancers. Ask your doctor when you can expect to get the results of your biopsy. If the results of the core needle breast biopsy do not give a clear diagnosis, or your doctor still has concerns, you might need to have a second biopsy or a different type of biopsy. An ultrasound breast core needle breast biopsy involves ultrasound — an imaging method that uses high-frequency sound waves to produce precise images of structures within your body. An ultrasound breast core needle breast biopsy will require you to lie on your back or side on an ultrasound table with your arm on the biopsy side above your head. Holding the ultrasound device (transducer) against your breast, the radiologist locates the mass within your breast, makes a small incision to insert the needle and takes several core samples of tissue to be sent to a lab for analysis. During your biopsy you need to lie very still since you will feel pressure and possibly mild pain, and if you feel severe or sharp pain let your doctor know. 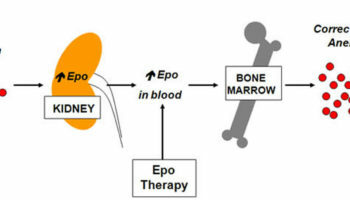 Your doctor will then use ultrasound to guide the biopsy needle into target area and take approximately five samples. Also, she/he will place a marker to mark the positions of biopsy, as it is important to know the location of biopsy if any further intervention is needed. A post-biopsy mammogram is done to see the location of the clip and changes to the biopsy target. The visit will take more than an hour and the biopsy results will be sent to your doctor who will then contact you. The stereotactic breast biopsy uses mammograms to pinpoint the location of suspicious areas within the breast. The stereotactic core biopsy will be performed by a radiologist with help from a radiologic (X-ray) technologist. Before you arrive, the physician will have studied your mammogram to become familiar with the location of the abnormality. Your doctor, the radiologist and you may consider this type of biopsy when there is an abnormality found on a mammogram that cannot be felt. The radiologist can make a judgment about whether the procedure is technically feasible and your doctor may recommend it in your particular situation. For stereotactic breast biopsy procedure, you generally lie facedown on a padded biopsy table with one of your breasts positioned in a hole in the table, or you may have the procedure in a seated position. You may need to remain in this position for 30 minutes to one hour. What happens during the stereotactic core breast biopsy procedure? After checking in, you will be asked to change into a hospital gown and escorted to the biopsy room. The technologist will ask you to lie face down on the special examination table, making sure you are as comfortable as possible. During the stereotactic (mammogram-guided) breast biopsy, you will be lying on your belly with the breast positioned through a special round opening in the table. You will feel pressure and possibly mild pain, but if you feel severe or sharp pain let your doctor know. The table will be elevated so the radiologist will work on your breast beneath the table. Mammography images will identify the target area in the breast. They will insert biopsy needle at the target area, while taking multiple images to ensure the needle is on the right track. They will place a marker at the site as it is important to know the location of biopsy if any further intervention is needed. The first part of the procedure will seem much like your mammogram, except that you are lying down instead of standing up. Your breast will be compressed with a compression paddle, just as it was during your mammogram. A confirming X-ray will be taken to ensure that the area of the breast containing the lesion is correctly centered in the paddle window. When the position is confirmed, two stereo X-rays will be taken. They are called stereo images because they are images of the same area from different angles. With the help of a computer, the exact positioning of the biopsy needle is determined from these stereo images. Using this information, the doctor will then position the device which holds the biopsy needle for the correct angle of entry. Next, the doctor will numb the biopsy area by injecting a local anesthetic into your breast. This will be done with a very tiny needle and you may feel a slight sting in your breast at the injection site. After the local anesthetic has taken effect, the physician will insert the biopsy needle into your breast. Another set of stereo X-rays will then be taken to ensure proper needle placement. Once placement is confirmed, the physician will tell you to hold very still while the tissue samples are acquired. When the physician has retrieved all the samples, the compression paddle will be released from your breast. The nurse or technologist will then apply pressure to the biopsy site for five to ten minutes to prevent bleeding. Afterwards, a dressing will be applied which you will wear home. When will I know the results of the breast biopsy? The pathology results are available in less than one week of your biopsy. Your doctor or nurse will inform you of the results immediately when they are available. MRI guided core needle breast biopsy will require you to be lying on your belly and your breast will be compressed on a grid. This type of core needle biopsy is done under guidance of an MRI — an imaging technique that captures multiple cross-sectional images of your breast and combines them, using a computer, to generate detailed 3-D pictures. During the biopsy, you lie facedown on a padded scanning table. Your breasts fit into a hollow depression in the table. The MRI machine provides images that help determine the exact location for the biopsy. A small incision about 1/4-inch long (about 6 millimeters) is made to allow the core needle to be inserted. A doctor will insert the biopsy needle at the target area, while taking multiple images to ensure the needle is in a good position. With the needle in position they will take the samples, and it takes about one minute to complete. You will feel pressure and possibly mild pain, and if you feel severe or sharp pain let your doctor know. Also, your doctor will place a marker at the site as it is important to know the location of biopsy if any further intervention is needed. A post-biopsy mammogram will be done to see the location of the clip and to see the changes of the biopsy target. Several samples of tissue are taken and sent to a lab for analysis. At the time of the breast biopsy procedures noted above, a tiny stainless steel marker or clip may be placed in your breast at the biopsy site. This is done so that if your breast biopsy is shows cancer cells or precancerous cells, your doctor or surgeon can locate the biopsy area to remove more breast tissue surgically (known as the surgical biopsy). For a surgical (open) biopsy, surgery is used to remove all or part of a lump so it can be checked to see if there are cancer cells in it. During this procedure, a doctor cuts out all or part of the lump so it can be checked for cancer cells. If other tests show you might have breast cancer, your doctor may refer you for a breast biopsy. Most often this will be a fine needle aspiration (FNA) biopsy or a core needle breast biopsy. But in some situations, such as if the results of a needle biopsy aren’t clear, you might need a surgical (open) biopsy. An incisional biopsy removes only part of the abnormal area to make a diagnosis. An excisional biopsy removes the entire tumor or abnormal area. An edge of normal breast tissue around the tumor may be taken, too, depending on the reason for the biopsy. During a surgical (open) biopsy, a portion of the breast mass is removed for examination (incisional biopsy) or the entire breast mass may be removed (excisional biopsy, wide local excision or lumpectomy). A surgical biopsy is usually done in an operating room using sedation given through a vein in your hand or arm (intravenously) and a local anesthetic to numb your breast. If the change in your breast can’t be felt and/or is hard to find, your radiologist may use a mammogram, ultrasound, or MRI to place a wire in the suspicious area to guide the surgeon the right spot. This is called wire localization or stereotactic wire localization. During wire localization, the tip of a thin wire is positioned within the breast mass or just through it. This is usually done right before surgery. Do not eat or drink anything after midnight on the night before your surgery. Any medications that you take routinely should be taken at the usual time with a sip or two of water. People with diabetes, heart disease and other illnesses should contact their primary care doctor for directions. Inform us if you are taking Coumadin or other blood thinning medication. Do not take aspirin or aspirin-containing products for 10 days before your surgery. Tylenol is okay. Also, stop taking vitamin E supplements two weeks before your surgery or as soon as possible, although vitamin E in a multivitamin is okay. Wear comfortable clothing, such as a two-piece, loose outfit with a zipper or buttons in front that is really easy to put on. Some women prefer a loose dress with a zipper or buttons in front. Please bring it with you. Wear a supportive non-wire bra, such as a sports bra or a bra with fasteners in the front. The bra will provide comfort and support after your procedure. Wear a bra for three to four days following surgery, even while you sleep. This minimizes post-operative bleeding and will make you more comfortable. Rarely, a surgical biopsy might be done in the doctor’s office. But most often it’s done in a hospital’s outpatient department. You are typically given local anesthesia with intravenous (IV) sedation. (This means you’re awake, but your breast is numbed, and you’re given medicine to make you drowsy.) Another option is to have the biopsy done under general anesthesia (where drugs are used to put you in a deep sleep and not feel pain). The skin of the breast is cut to allow the doctor to remove the suspicious area. You often need stitches after a surgical biopsy, and pressure may be applied for a short time to help limit bleeding. The area is then covered with a sterile dressing. Your doctor or nurse will tell you how to care for the biopsy site and what you can and can’t do while it heals. All biopsies can cause bleeding and can lead to swelling. This can make it seem like the breast is larger after the biopsy. Most often, this is nothing to worry about, and the bleeding, bruising, and swelling go away over time. A surgical biopsy may leave a scar. You might also notice a change in the shape of your breast, depending on how much tissue is removed. People experience different types and amount of pain or discomfort after breast biopsy surgery. The goal of pain management is to assess your own level of discomfort and to take medication as needed. You will have better results controlling your pain if you take pain medication before your pain is severe. You will be given a prescription for Vicodin for the management of moderate pain. It is recommended to take medication for pain when pain is experienced on a regular schedule. Ibuprofen (Advil or Motrin) or Tylenol can be added to or replace the Vicodin. Everyone is different and if one plan to decrease your pain is not working, it will be changed. Healing and recovery improve with good pain control. Notify your doctor of any drug allergies, reactions or medical problems that would prevent you from taking these drugs. Vicodin is a narcotic and should not be taken with alcoholic drinks. Do not use narcotics while driving. Narcotics also can cause or worsen constipation, so increase your fluid intake, eat high-fiber foods such as prunes and bran, and make sure that you get up and out of bed to take small walks. An ice pack may be helpful to decrease discomfort and swelling, particularly to the armpit after a lymph node dissection. A small pillow positioned in the armpit also may decrease discomfort. Call your doctor or nurse if medication is not helping your pain, if you have problems with medication(s) or you are constipated. Your incision, or scar, has both stitches and steri-strips, which are small white strips of tape, and is covered by a gauze dressing and tape or a plastic dressing. Do not remove the dressing, steri-strips or stitches. Your doctor will remove the dressing in seven to 10 days. Your doctor also will remove the sutures in one to two weeks unless they absorb on their own. If the dressing or steri-strips fall off, do not attempt to replace them. You may shower one day after the drain(s) is out and if you have a plastic dressing. If you have gauze and paper tape, you may remove it two days after surgery and shower after that. Use a towel to dry your incision thoroughly after showering. Be careful not to touch or remove the steri-strips or sutures. Bruising and some swelling are common in women after surgery. If you experience a great deal of swelling, please call the Breast Care Center. A low-grade fever that is under 100° Fahrenheit is normal the day after surgery. Avoid strenuous activity, heavy lifting and vigorous exercise until the stitches are removed. If possible, plan to take the day off or plan a lighter day following the surgery. The pathology results from your biopsy should be available within one week after your surgery. Your doctor will contact you with the results by telephone or at your next post-operative visit. A doctor called a pathologist will look at the biopsy tissue under a microscope to find out if there are cancer cells in it. Ask your doctor when you can expect to get the results of your biopsy. The next steps will depend on the biopsy results. If there are no cancer cells in the tissue, your doctor will talk to you about when you need to have your next mammogram and any other follow-up visits. If cancer is found, the doctor will talk to you about the kinds of tests needed to learn more about the cancer and how to best treat it. You might need to see other doctors, too. The doctor may also need to biopsy the lymph nodes under the arm to check them for breast cancer spread. This might be done at the same time as biopsy of the breast tumor, or when the breast tumor is removed at surgery. This is done by needle biopsy, or with a sentinel lymph node biopsy and/or an axillary lymph node dissection. If you have a surgical biopsy, you’ll likely have stitches (sutures) to care for. You will go home the same day of your procedure and you can resume usual activities the next day. Your health care team will tell you how to protect your stitches. An ice pack will be applied to the biopsy site in the PACU (Peri-Anesthesia Care Unit). You will need to have a responsible adult with you to drive you home. It is unsafe to permit you to drive home after surgery when you have received any medication that might slow your responses, such as anesthesia, pain medication or medication to relieve anxiety. After discharge, re-apply the ice pack once, for 30 minutes. Remove the dressing 24 hours after the breast biopsy. Keep the biopsy site dry for 24 hours until the dressing is removed. After removing the dressing, you may shower. Wash the incision with soap and water, then pat dry. If “Steri-Strips” are in place, let them fall off on their own. This usually happens in 7 to 10 days. If you have sutures, contact your surgeon to schedule their removal. If Dermabond is in place, refer to the printed instruction sheet on this product. If you have pain, take Tylenol, Motrin, or Advil as prescribed for 3 days. If pain persists for more than 3 days, call the surgeon. Do no vigorous activity (such as jogging, aerobic exercise, tennis) for 1 week. If redness, drainage, fever, or chills develop, contact your healthcare provider. It may be several days before the results of a core needle breast biopsy are available. After breast biopsy procedure, your breast tissue is sent to a lab, where a doctor who specializes in analyzing blood and body tissue (pathologist) examines the sample using a microscope and special procedures.